MicroSurvey leverages the IntelliCAD Development Platform to create innovative solutions for mapping professionals. The IntelliCAD Development Platform delivers performance for MicroSurvey's complex point cloud solutions. 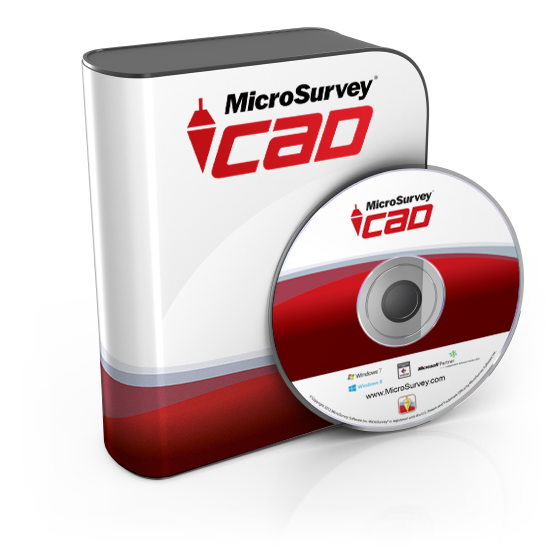 MicroSurvey uses the IntelliCAD Platform to develop COGO, DTM and other surveyor tools that produce standard .dwg files. IntelliCAD-based MicroSurvey MapScenes empowers law enforcement professionals in crime scene mapping and accident reconstruction. Since 1985 MicroSurvey has created solutions that offer innovative technology and exceptional value. MicroSurvey has expanded its market by empowering users through innovative design that harnesses technology to work the way people think, and today supplies software solutions around the world. MicroSurvey offers one of the most complete survey design and mapping product lines in the industry, and is leading software development for forensic evidence collection and diagramming. As a member of the IntelliCAD Technology Consortium, MicroSurvey joins a group of developers with representation from all over the world. The consortium's mandate is to produce a competitive and extremely stable CAD engine that all of its members can use for their specialized applications. ITC members nominate and vote for their board of directors who determine the direction of the consortium and the price for membership fees and services. As an ITC board member, MicroSurvey can help direct the ITC to a position to meet today’s demand for user productivity and innovation that developers need to drive the solutions of tomorrow. IntelliCAD Co-op is the foundation for our civil, survey and forensic CAD applications. IntelliCAD provides a familiar CAD interface for our users and familiar development APIs for our developers. In addition to the standard APIs, IntelliCAD Co-op provides complete source access at the core level that has enabled new solutions we could not create on any other CAD platform. There are many different CAD development platforms, but IntelliCAD is the only open source, non-profit, cooperative CAD development platform. Because the ITC is a non-profit, MicroSurvey can be sure they get the best price for services and membership fees. While for-profit CAD platforms continue to enter markets developed by their third- party partners, MicroSurvey is confident the ITC will stay focused on the needs of members and not on the markets its members develop. As an open, cooperative CAD platform that is directed by its members, IntelliCAD is a safe alternative for our business compared to other CAD platforms available on the market.